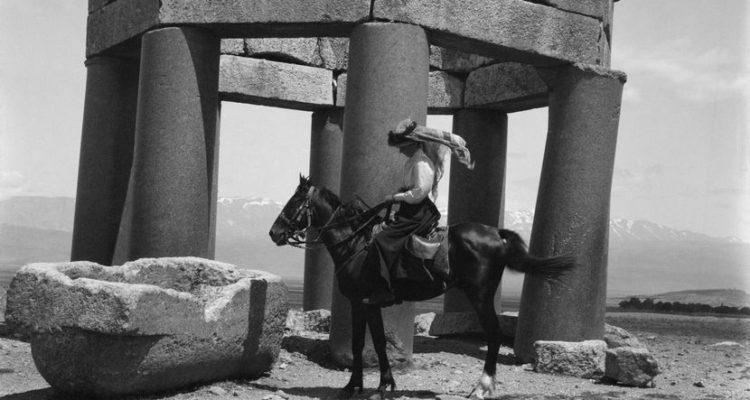 There’s a great film to be made about the life of Gertrude Bell. Born in 1868 to a wealthy family able to fund her education and adventures, at 17, Bell read history at Oxford (one of the few subjects women were allowed to study there at that time), earning a First just two years later, before journeying through the region that would come to define her life, the Middle East, and publishing a book about her travels. A talented linguist, fluent in Arabic, Persian, German, French, Italian and Turkish, Bell embodied the spirit of her time; she was an author, a mountaineer, an explorer, an archaeologist, a photographer, a spy. 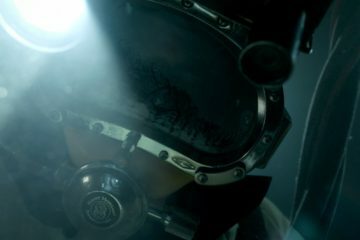 A restless adventuress and a wily political operator, Bell served alongside her friend T.E. Lawrence during the First World War, guiding soldiers through the desert, drawing maps, using her extensive network of contacts to liaise between the Arab tribes and the British. She bore witness to the Ottoman Empire’s Armenian Genocide, opposed Zionism and the Balfour Declaration, was instrumental in creating the boundaries of the British Mandate and the creation of the fledgling states of Iraq and Jordan, of the modern Middle East. A friend of statesman and rogues alike, she enjoyed love affairs both chaste and passionate but never married. Suffering increasing ill health, she took her own life and was buried in her beloved Baghdad. There’s a great film to be made about the life of Gertrude Bell. Unfortunately, I’m just not sure that film is Sabine Krayenbühl and Zeva Oelbaum’s debut documentary featureLetters From Baghdad. Mixing stunning period footage and beautifully composed still photographs (some taken by Bell herself) with lazy, stiff, staged talking heads, actors portraying Bell’s friends, family, colleagues and contemporaries, the film’s trump card being Bell’s own lyrical letters, beautifully narrated first by Rose Leslie as the young Bell, then by Tilda Swinton as the adult. While her letters are spirited, funny and insightful, offering a unique window on a turbulent period, the last spasms of empire, political expediency and greed for oil birthing a new age recognisable as our own, we learn little of Bell’s interior life, the demons that stalked and drove her, even her final letter before her suicide a fairly breezy, cheerful affair, the black-and-white reconstructed interviews and images of flowing handwriting and pens scratching parchment lending the film a made-for-TV, H2 channel feel. With Werner Herzog’s Nicole Kidman-starring epic retelling of Bell’s life and times, Queen Of The Desert, still languishing on the shelf where it’s been since 2015, Letters From Baghdad is a intriguing, ultimately unsatisfying portrait of a complex, fascinating heroine.